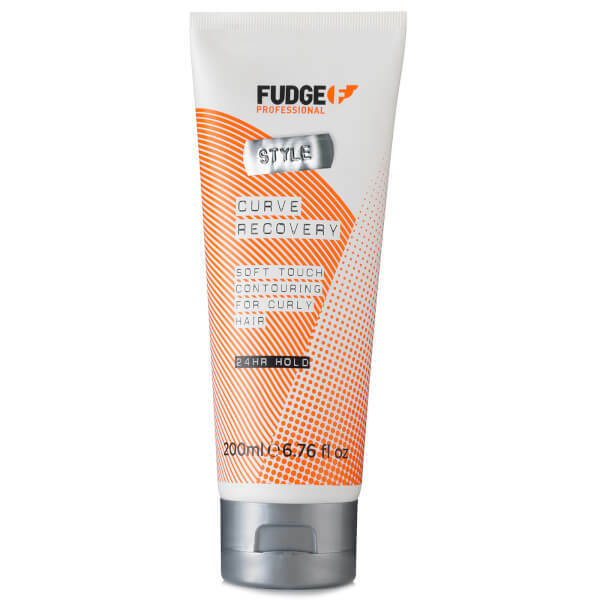 Enhance your curls with Fudge Curve Recovery, a soft touch formula that utilises Elasto-Curve Technology to revive and reactivate your curls. Specially formulated for curly hair, the contouring product combines a Soft Touch Complex with Royal Jelly, Mallow, Aloe Vera and Coconut oil to seal and hydrate curls without the crunch. 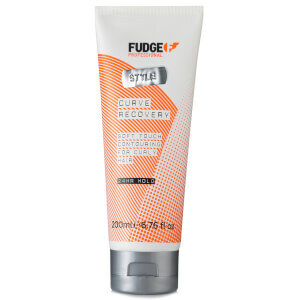 Helping to enhance curl definition, it also contains Amino Silicone Elastomers and Hyaluronic Acid for an elasticising effect while regulating moisture and controlling frizz. Not only will it revive and enliven your curls, but it also provides heat protection up to 235ºC with Hydrolyzed Keratin, Wheat and Silk Proteins. Smooth a small amount through towel dried hair. Work through from the ends up towards mid lengths. Air dry or use diffuser attachment at reduced speed. Tip: Distribute a pea size amount evenly across hands before scrunching from ends upwards towards mid lengths to reactivate curl.